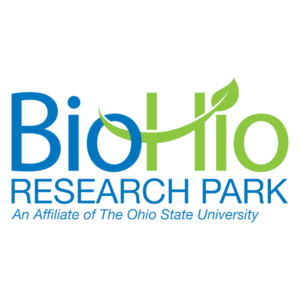 BioHio Research Park (BioHio) is an affiliate of The Ohio State University (OSU), located on the campus of OSU’s Ohio Agricultural Research and Development Center (OARDC) in Wooster. BioHio is a vehicle for moving agbioscience technology into the marketplace. BioHio offers leasable land for development or build-to-suit capability in the Park, and office, laboratory, conference room and shared services incubator space in BioHio Pounden Hall. BioHio offers access to unique OSU facilities, including the BSL-3 Plant & Animal Agrosecurity Center; Center for Diagnostic Assays; PENRA pilot plant for natural products extraction and processing; a feedstock processing plant; a bioenergy and bioproducts pilot plant; Molecular & Cellular Imaging Center; metabolomics analysis capability, and many other capabilities. BioHio’s association with OARDC and OSU’s Agricultural Technical Institute (ATI) offers excellent opportunities for businesses to identify quality employees and interns. We offer access to one of the largest land-based agricultural research stations in the US for collaborative projects involving plants or livestock. BioHio represents the commitment of OSU to providing solutions to unmet market needs. Its quality facilities, services and staff, access to OSU researchers, students and capabilities all contribute to making BioHio a go-to place for agbioscience-related startup, growing, and large companies. 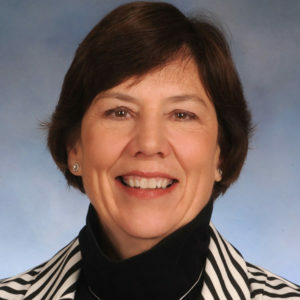 Dr. Shauna R Brummet is President & CEO of BioHio Research Park, an Affiliate of The Ohio State University, College of Food, Agricultural and Environmental Sciences and Adjunct Faculty in the Department of Animal Science. Dr. Brummet has broad experience in life science research and product development, start-up and global companies, innovation and technology commercialization, technology-based economic development, and open innovation. Shauna is highly collaborative and connected in the innovation ecosystem. Development and commercialization of new technology, creation of teams and organizations, public-private partnerships, entrepreneurial coaching, innovation and entrepreneurship in higher education and open innovation are key areas of her expertise. Shauna is a graduate of Purdue University (BS in Microbiology), University of Akron (MS, PhD in Analytical and Biochemistry), and post-doctoral work at The Ohio State University Ohio Agricultural Research & Development Center (molecular biology). Previous employers include United States Biochemical, Corp., Amersham Life Sciences, Inc., Edison Biotechnology Center, Inc., NineSigma, Inc. and Fluence Therapeutics (founder). Dr. Brummet also currently serves on the board of directors of BioOhio – the Ohio life sciences industry advocacy organization and the Alpaca Research Foundation.